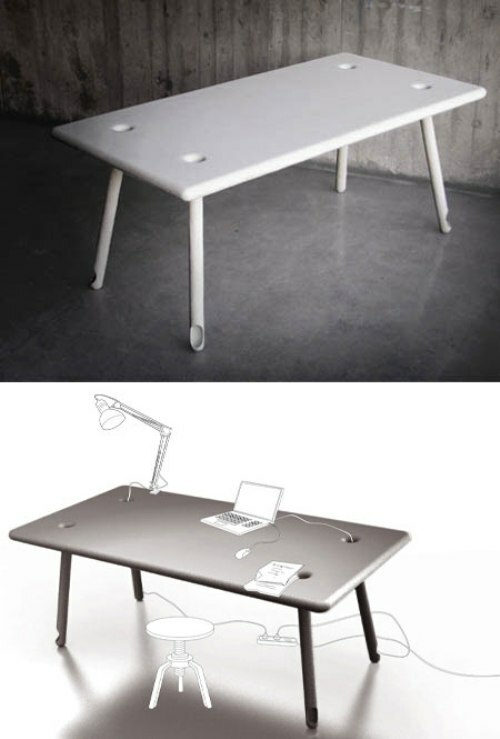 This table is designed specifically for computer or laptop. The basic of this table comes from a glass-reinforced plastic that is not too heavy but also not too risky for damaged or durable. Each leg ends with a hole on the desk surface. Because of the shape legs have cavities that can be used to channel the drive cable from the floor to the table without being complicated or makes the room look cluttered. 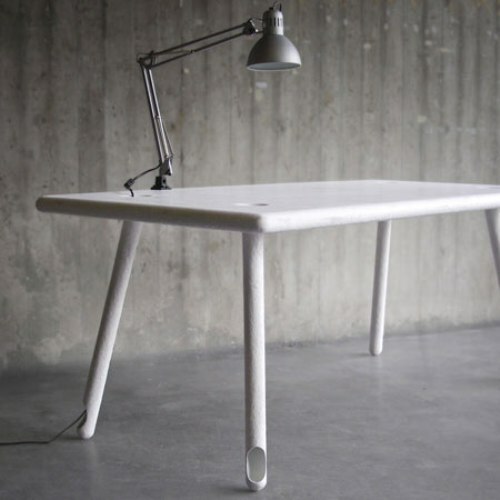 Design office desks can be found by accessing Blickfang in Stuttgart. White color became the most popular because white color is reflect elegant and clean accents.